Academician, founder of embryology, geographer, explorer of the Arctic and seas around European Russia, one of the most prominent naturalists of the 19th century. Born in Estonia, in the Pip estate in the family estate. At first, he was brought up at home with his sisters and brothers under the guidance of his father and several teachers. Secondary education in the school of nobility of Revel. 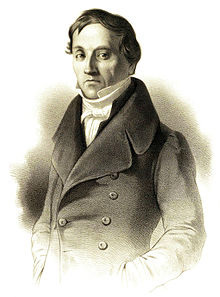 After graduating from the medical faculty of the University of Derpt, Baer worked in Austria and Germany, since 1819 he is a professor at the University of Königsberg. In 1827, Baer was elected a corresponding member of the St. Petersburg Academy of Sciences, and a year later - her full member. In 1834 he returned to Russia. 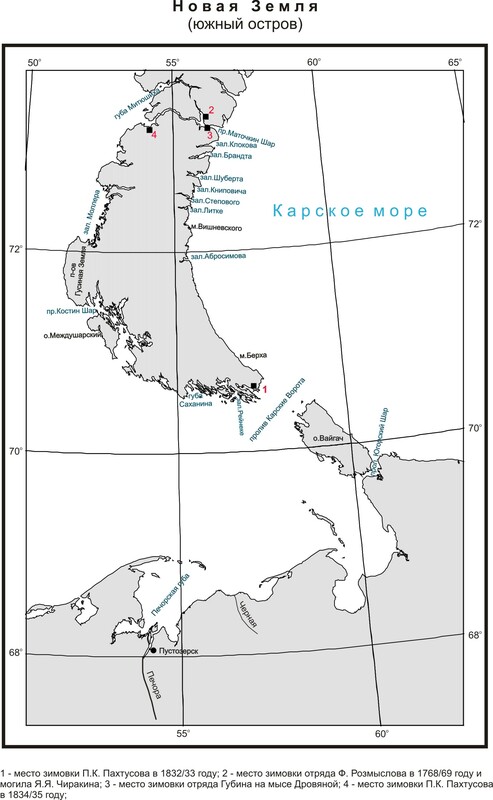 In 1837, Baer led a scientific expedition to Novaya Zemlya on the Krotov schooner, the captain of which was A.K. Tsivolka. The main task of this expedition, in contrast to all the previous ones on Novaya Zemlya, was to study its geological structure, acquaintance with fauna and flora. The first stupid information on these issues was only in F. Rozmyslov’s report on the results of his voyage of 1767–1768, but this was not a professional report. The expedition of Baer, in addition to him, included the natural scientist A.A. Lehman, geologist Raeder and laboratory assistant Filippov. In Arkhangelsk, it turned out that the Krokh schooner was so small that it could not take all the members of the expedition, much less a living cow, which Baer intended to take as a stock of fresh meat. Subsequently, he wrote, not without humor, that "with the same success it was possible to load Krotov on a cow." We came out of the situation by agreeing with one of the coast-dwellers on our way to Novaya Zemlya to take part of the expedition members on our boat. 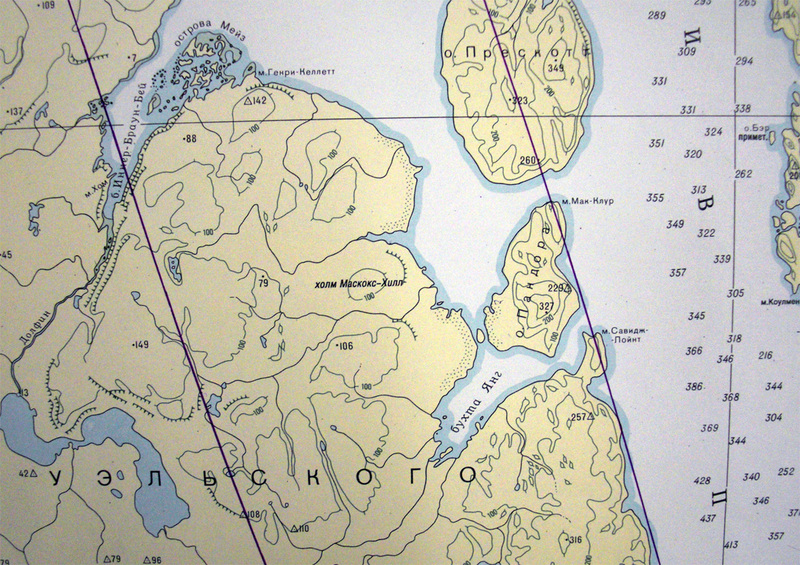 In mid-June, they left Arkhangelsk, conducted botanical and zoological research in its vicinity, then with the same purpose visited several points in Lapland and only in the second half of July dropped anchor at the western entrance to the Matochkin Ball Strait near the place where Tsivolka wintered with P.K. Pakhtusov in the years 1834-1835. For several days, various natural-scientific studies were conducted here, on July 31, they entered Matochkin Shar, the western half of which turned out to be ice-free. Then they moved into the boat and got to the Kara Sea on it. Going on a boat trip, violated one of the main commandments of polar explorers: "Going for a day, stock up on everything you need for a month." Intending to return to the ship for the night, the travelers did not stock up on anything necessary for a more or less extended stay outside the ship. Insidious arctic weather immediately gave them a lot of trouble. The rising strong wind made it impossible to return by boat. The first days of August had to be carried out in the rain, at a temperature of 4–5 ° С without any roof over their heads and the practical absence of food. The return along the coast was impossible because of the impassable bare rocks rising straight from the water. Fortunately, managed to meet Pomorie, otherwise the journey could end in tragedy. After leaving Matochkin Shar, they examined the south of the western coast of Novaya Zemlya , and on August 31 they left the archipelago and on September 11 they safely reached Arkhangelsk. The Baer expedition has received excellent scientific results, becoming an important step in the study of the Arctic. She collected collections of up to 90 plant species and up to 70 invertebrate species. 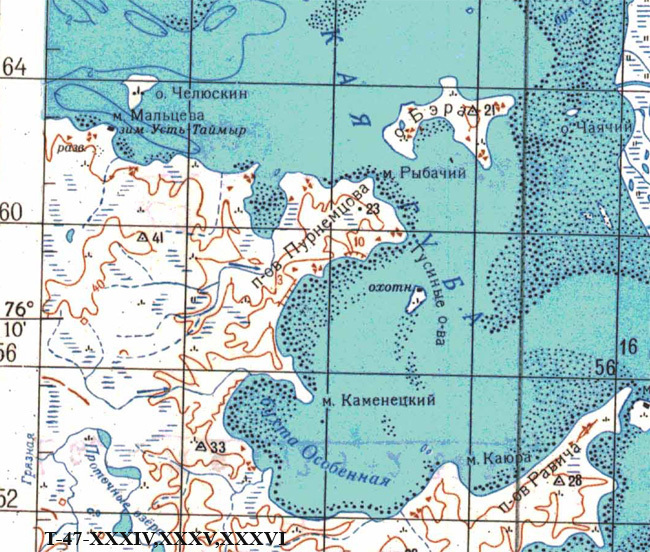 Geological studies led to the conclusion that Novaya Zemlya was formed in the Silurian and Devonian eras. In 1838, Baer published the results of his research. He developed projects for new expeditions to the Arctic, pointing out the importance of studying its climate, the need for geophysical observations. 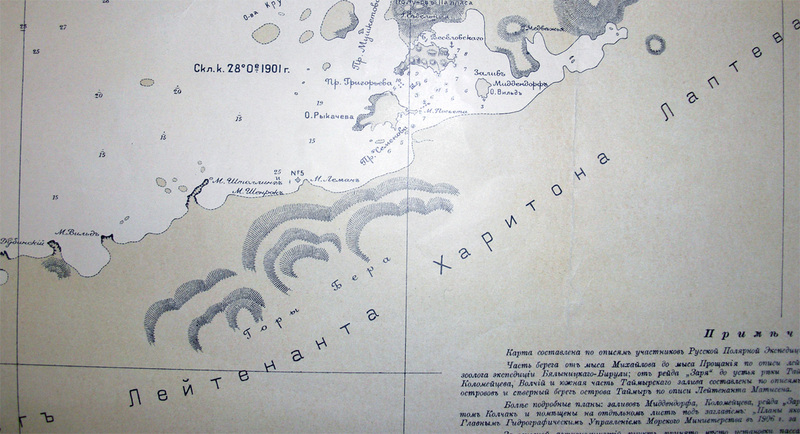 In subsequent years, Baer explored the islands of the Gulf of Finland (1839), the Kola Peninsula (1840), the Mediterranean Sea (1845–1846), the shores of the Baltic Sea (1851–1852), the Caspian Sea Region, and the Caspian Sea (1853–1856) , The Sea of Azov (1862). His works on the undermining of the right banks of the rivers in the Northern Hemisphere and of the left in the Southern (the so-called “Baer Law”) were best known. Rem along with F.P. Litke and F.P. Wrangel was one of the founders of the IRGO. 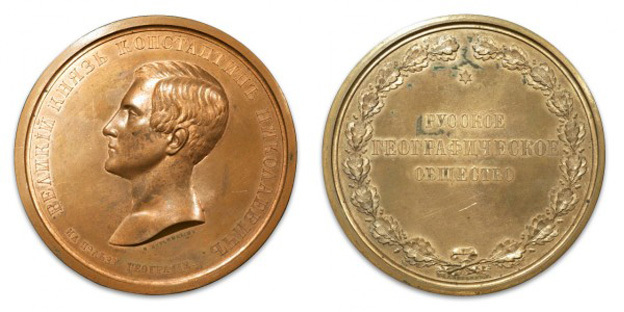 In 1861, he received the highest award of the IRGO - the Great Konstantinovsky Medal . 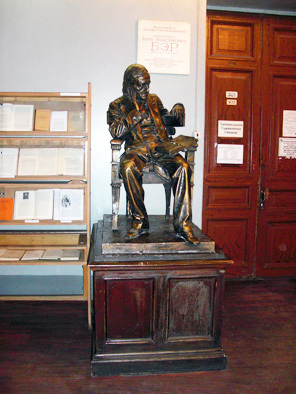 The works of Baire were not only purely scientific, but also applied value. In particular, this applies to his work on the study and rationalization of fisheries on Lake Peipsi, in the Azov and Caspian Seas. In 1862, in old age, Baer left the Academy of Sciences, and in 1865 he was elected an honorary member and moved to Dorpat, where he died. Buried in the cemetery of St. John's which is located in the south-east of Tartu Raadi cemetery. An island in the bay of Bathurst of the Beaufort Sea. An island east of the Prince of Wales Island in the Peel Strait in the Canadian Arctic Archipelago. An island in the Taimyr Bay. Named in 1843 by A.F. Middendorf. 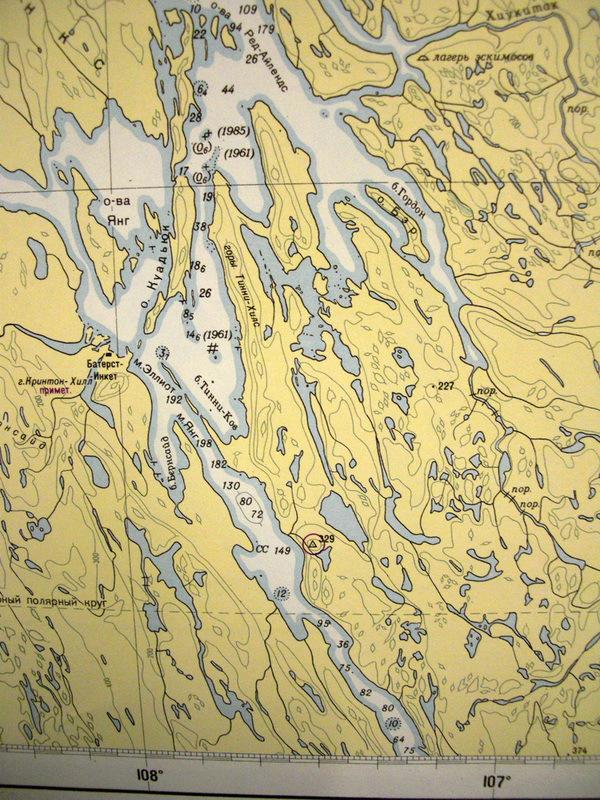 Cape on the west coast of the northern island of New Earth. 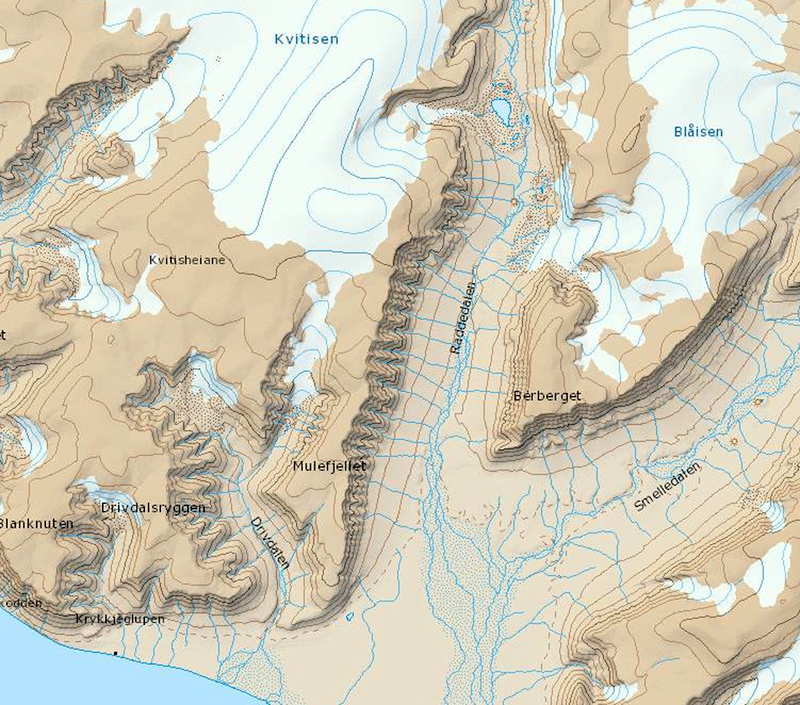 Cape in the east of the island of Salm archipelago Franz Josef Land. The name appeared on the map of the Austrian expedition of J. Payer and K. Weyprecht. Cape in the southwest of Ellesmere Island in the Canadian Arctic Archipelago. Mountains on the southern coast of Middendorf Bay on Taimyr. Named in 1900, RP E.V. Toll. Mountain on the west coast of the island of Edge, Svalbard. 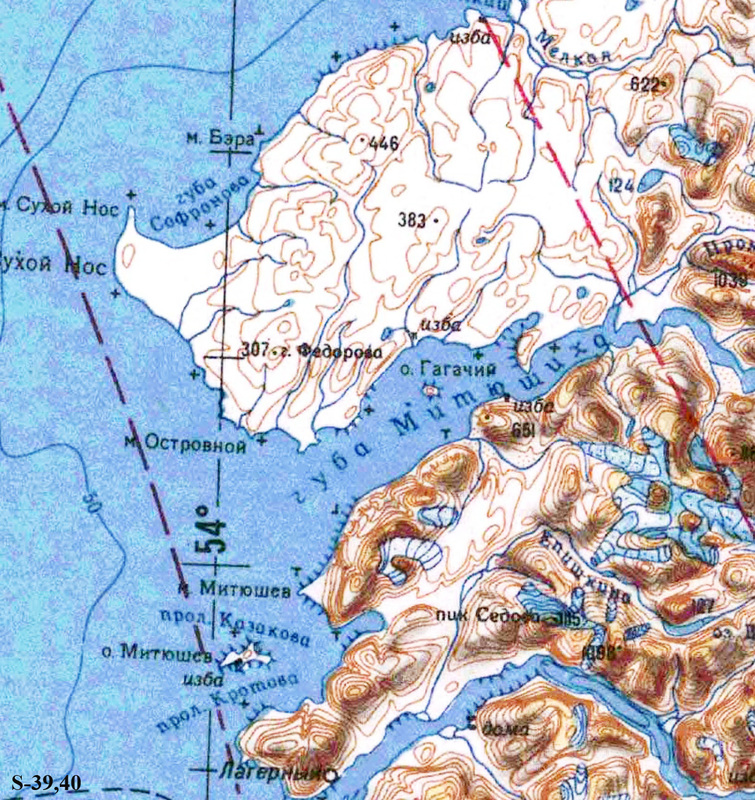 Coordinates 77 º 50'N 21 º 30'E. Named A. Peterman. Bay in the north of Devon Island in the Canadian Arctic archipelago.